Each sold separately. Ships in one of four assorted colours (blue, pink, yellow or orange) based on availability. 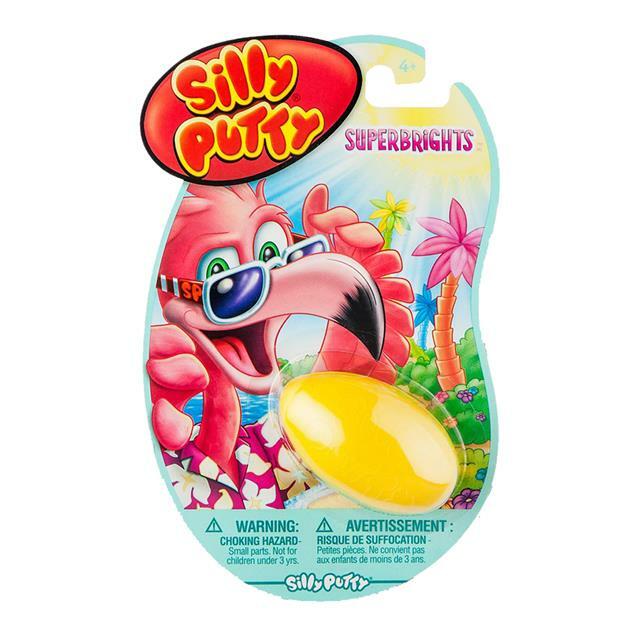 Stretch your imagination with Silly Putty - the crazy compound that bounces, molds, stretches and snaps in shockingly brilliant colours! It's the classic 'toy with one moving part' that has been a kid favourite since 1950 until now. Nothing else is Silly Putty! Stretch it! Snap it! Knead it! Bounce it! Squeeze it for stress relief. Or roll it into a ball and have a catch. 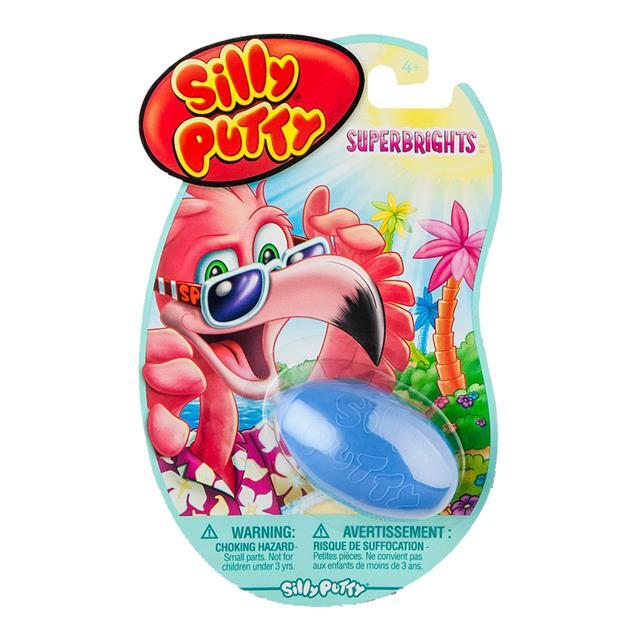 Silly Putty makes a great gift for the toy or novelty enthusiast or anyone who wants inclusion in the putty revolution!